I take it as my responsibility to help ensure that my clients are getting the best possible images from the wedding day. Several of my clients joke, "We have never gotten married before, so we have no idea what we are doing!" All jokes aside, I totally understand the pressure of creating a beautiful wedding without having any knowledge going into it. I want to change that! I want to give my brides all the information I can so that they feel like they have the insider secrets they need to create a wedding that will photograph beautifully! Imagine...you rented a hotel suite for all of your closest girls to come get ready with you on your wedding day. Everyone brings their purses, extra clothing, there's a snack bar, coffee, makeup and hair products everywhere! You don't know the power of 6+ women until you see a bridal party getting ready in one hotel room. I then show up to capture the getting ready portion of your day. I take all of your details- dress, shoes, jewelry, bouquet, vows, etc. and go to take those images. When I come back you are ready to put on your dress. I think it is safe to say that if we choose to stay in your room for the next images, it is best that we clean up and move some of the things in the room. I have moved tables, couches, etc. to provide the best space for you to get ready while I capture it. 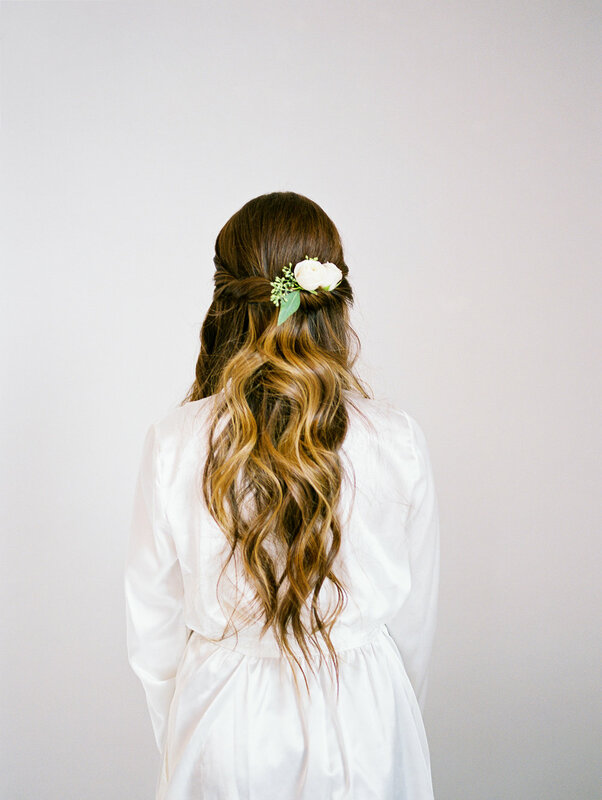 I want the space to be minimalistic so that the focus is all on you- the bride. The other option we have is to move to a new location- one that I often find ahead of time- to take the final detail images of you getting ready. Don't worry, I don't make you walk naked down the hotel hallway. Instead, we usually get you into your dress and then have your mom, or designated friend, help you finish the last details such as buttons, bows, or help with your veil. Are you curious what the best lighting and paint colors are for this? First, don't stress too much about these small of details- I will take care of this for you! As long as you trust me to find the best locations and lighting, then I will find a perfect spot to take these images. Light is, however, the most important factor! The more light, the better. In the above images, there is a window about two feet away from both brides and the shoes. Again, don't stress about this too much, but I do ask that you trust me when I ask us to move some furniture, or move locations completely. I am here to help you get the best images possible, and in turn I just ask for trust. Are you curious what details photograph best? Think of images that tell a story. Your veil, shoes, dress, jewelry, invitation suite, and perfume are a great start! I ask you to set these details aside for me before I get there, so that it is quick and easy for me to grab and style. Imagine what details you want to remember 50 years from your wedding date. Are you wearing your great grandmother's bracelet? Let me know! I will make sure to capture a special image of it. One of my favorite touches is custom calligraphy pieces. Some options for calligraphy could be an invitation suite, name placement cards, your vows, a special quote, or even a custom menu from your day. There are several amazing calligraphers who could help with this, but I love working with Claire from Inkling Calligraphy. Your getting ready images set the tone for the rest of the wedding story. I will do everything in my power to make the images the best that I can! 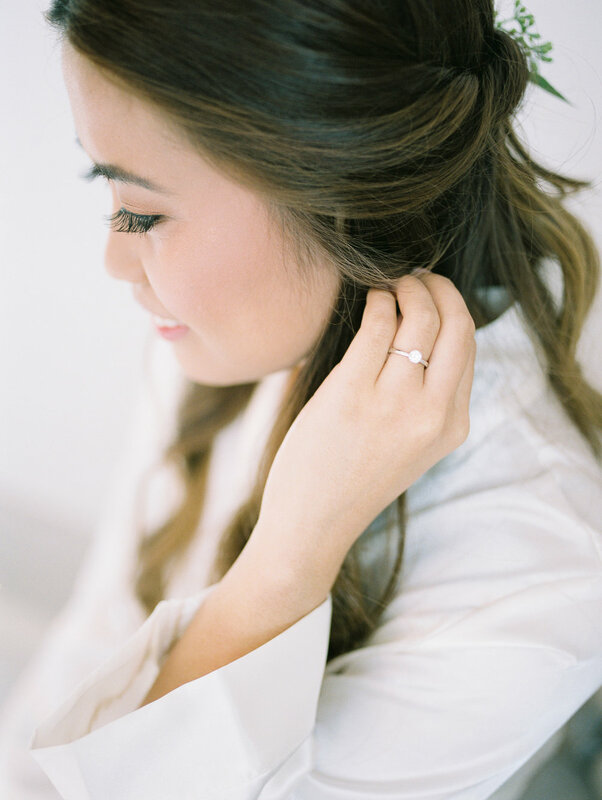 I hope that these little tips helped to prepare you a little better for what to expect as a Brie Thomason Photography bride.